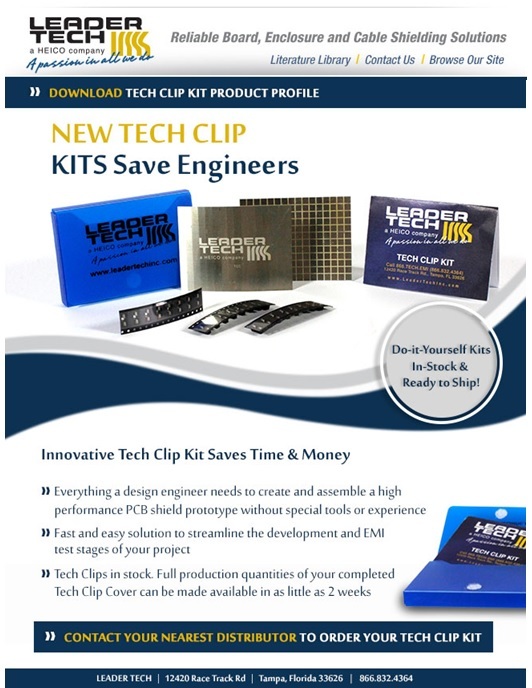 Get a do-it-yourself Tech Clips Kit from Leader Tech Inc. It’s all that your designer will ever need to produce and assemble high-performance PCB shields without any experience or custom tools. Make the most of this fast and cost-effective shielding solution to streamline the development and EMI testing stages of your project. Our Tech Clips are in stock, and we can deliver it to you in just two weeks.